After the unpredictable Year of the Monkey with its horrendous surprise ending with the Asian earthquake and tsunami, most of us are ready for the new year of the Rooster which begins on February 9, 2005. The element of wood remains above that of metal during this year, portending a continuation of disharmonious relations on the international front but with hope. Because wood is more flexible, there will be fewer serious confrontations than last year and more opportunity for resolution. During this year, the most dreaded of the 3 Afflictions, the 5 Yellows, resides in the NW so if your front entrance is facing 292.6 degrees to 337.5 degrees, find and use another entrance into your home so as not to activate thisdirection. Hang your pagoda windchime outside close to the front door for protection from serious illness, accidents and calamities to your household. Do not face West when you are working this year of the Rooster (even if you are a West group person and it is one of your four best directions) where the Grand Duke Jupiter rests. To do so will only bring frustation and a feeling that you are struggling but not making progress. For East group people, it is good to face East as you will have the support of the Grand Duke behind you. The 3 Killings is in the East this year and you can face it, but not have this direction behind you. The Rooster symbolizes the liver, neck, back, spine, teeth and posture so take care of these parts of your body as well as your nervous system. Back problems, Parkinson�s and Alzheimer�s disease will dominate health news. Because the metal element is dominating over wood, metal daggers, knives and firearms may factor into assassination attempts and suicides such during last year, such as when NY Times best-selling author Iris Chang died of a self-inflicted gunshot wound following severe depression. On the other hand, the months of March and September are good months during which to schedule surgeries or teeth removal, especially for those who are born during the year orday of the Rabbit. On the environmental front, plants and the environmental industries such as agriculture, forestry, etc. may suffer serious damage, especially as there is great fire danger this year. For the world�s economy, there will be economic recovery amidst lots of stiff competition in the high tech sector. Autumn and winter will be strong for the real estate, energy, electricity, entertainment, and restaurant and electronic industries. The Year of the Rooster may make you overconfident but this year it�s better to stick with the practical, the basics and tried and true paths rather than buy into any projects that promise quick returns and riches. The energy of this zodiac animal is one of cockiness, showing off, strutting and puffery, and scattered energy that causes friction caused by pettiness, misunderstanding, arrogance and egotism. Happy news is forthcoming, perhaps in the form of marriage or other new alliances, even very suddenly. Take your vitamins and time for yourself to maintain balance and don�t neglect your health during this very busy year. This will be a happy and successful year for you, memorable for an unusual or bizarre occurrence. Be careful in whom you trust with your money, property or confidences. If you�re not overeager, your year will be just fine. Challenges will appear greater than they really are and will be resolved with the help of new friends or support from unlikely sources. Hunker down and watch your finances carefully. It�s a good year to be prudent and to form new alliances that will help your though difficult times, but don�t be discouraged, you�ll weather through the challenges if you don�t go it alone. Look forward to a good year with happy news, advancement and unexpected prosperity. Life on the domestic front will be smooth sailing and you�ll regain wealth that has eluded you recently. Your patience, diligence and perseverance will pay off big this year in the form of increased profits, recognition, advancement and income. Life at home will be smooth as you enjoy the rewards of your past efforts. Don�t sweat the small stuff or let them get you down, it�s going to be a good year on the home front but slow career-wise. Your challenges will be easily overcome if you keep cool and composed, going with rather than against the flow. Hang onto your wallet and credit cards and don�t spend more than you make as you�ll be entertaining a lot this year. Let others be responsible for their own happiness-it�s not your job! Be patient and loving to those at home to avoid quarrels and friction. Your efforts and contacts will bring money and stability but don�t neglect your family by over-committing yourself and socialize excessively or you�ll find yourself tired or in ill health . Be smarter than your opponents. This is the year you�ll stage a terrific comeback, having met your challenges and made new contacts who provide you with strong support. You will emerge unscathed from accidents and mishaps. Advancement will be steady rather than fast during this busy year. Challenges can be met with patience during negotiations which may be complex and detailed. All�s quiet on the home front. 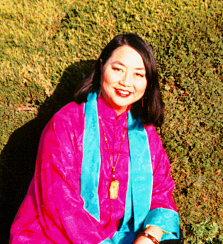 Angi Ma Wong Wong is a media-experienced expert on intercultural issues and Feng Shui, an award-winning entrepreneur, a nationally-recognized authority on Asian and Asian-American business, as well as a best-selling author. See her Listing on Experts.com.